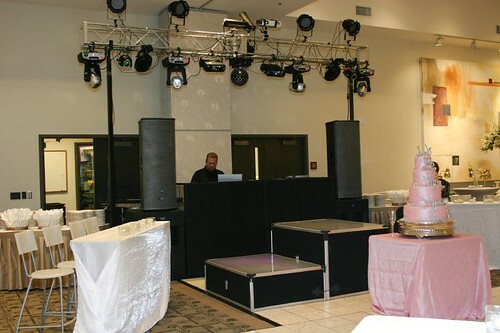 This is Rick, DJ with Integrity Productions at our rockstar nightclub wedding last year! Our first installment of your series, “love your wedding vendor“…we’re excited to begin with music! Today we’ll talk about your wedding DJ. Definitely an incredibly important element to your wedding reception, you should never skimp on choosing your professional DJ. Often I see this area become more of a price point issue instead of choosing someone who you feel confident in producing great entertainment for you and your guests. Reasons why you should love your DJ? They have to please you (the clients) and 250 of your closest family and friends. Think that is easy? DJ’s really put themselves out there…they have nerves of steel. They leave themselves wide open for audience interpretation of their job performance. Some guests may love what they are playing and some guests may not. You know what we’re saying, you’ve heard the “cool people” that have to complain about the music. But DJ’s have to keep on going and never waver. It doesn’t matter what is going on in their personal lives or if they had a bad day; they show up to your wedding with a smile and positive energy. They really care about getting it right for you, making sure you have all the songs that are your favorite in their database. They honestly feel horrible if something goes wrong; like the speakers have a feedback or they accidently pronounced a name wrong. They are human. And equipment can falter. But trust me, they feel terrible when this happens. They are often one of the last to leave packing up their equipment in the dark. Those speakers are NOT “light” by the way. Professional DJ’s love working with professional wedding planners, because they know that the reception goes even smoother. (okay, that’s why we love your wedding DJ). You’d be surprised at what goes on behind the scenes at your wedding. I remember one incidence where at one of our weddings we had the father of the bride ask the DJ to play a different genre of music than what the bride had requested. Not a particular song mind you, simply switch the style. Within 5 minutes the mother of the bride glides by the DJ booth to tell him he’s doing a great job. The DJ mentioned what the FOB said and she advises the DJ to keep playing what the bride wants, as this is her wedding and we should cater to her friends. Confused what you would do yet? Keep reading…. Within the next hour, we had the FOB’s sister coming to the DJ to vehemently chastise him (this is put politely) that the FOB wasn’t hearing what he wanted and “Who was paying for this shin-dig anyway?” It was interesting to watch how he placated everyone. Every time he would play the FOB’s genre of music, the dance floor cleared. *literally you could hear the crickets* He still played some of his songs….but seriously…what would you do? DJ’s keep everyone as happy as possible and keep on smiling. You gotta love them for that. 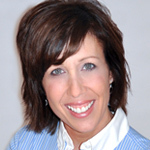 event and wedding planner who loves social media, her family, clients, chuck taylors and laughing. Life is short - love it! If you like our content then be sure to properly give credit and link back to our blog. Or we will send the Wrath of the Internet Gods on you. And guys in suits.